issues | They point the finger at me.. again! 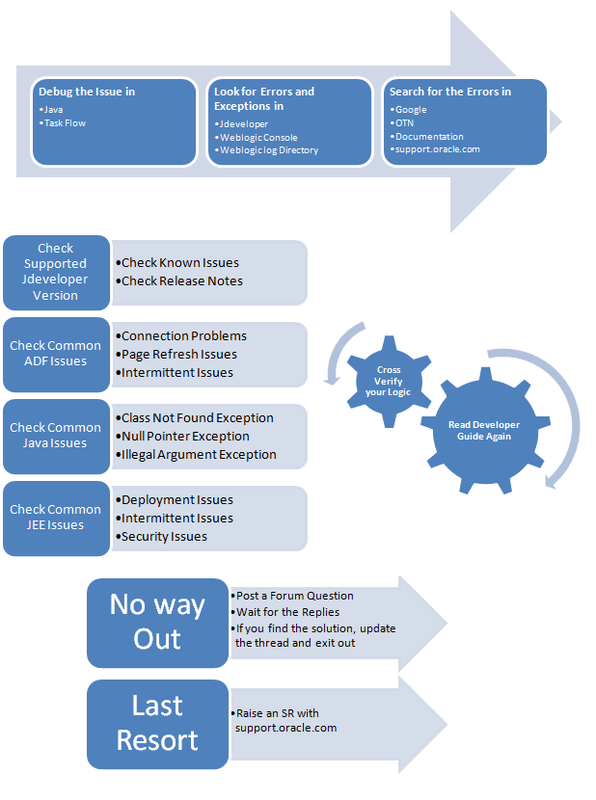 Debugging the problem is the important step in finding the problem in ADF Application. If you are able to debug the application flow then there is a possible chance of pointing out the problem in the first place. 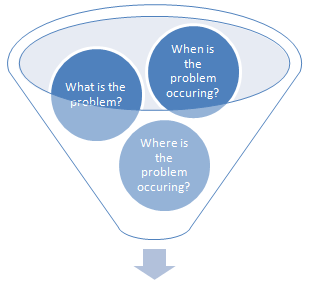 Debugging help us to understand where and when the problem arises. Most of the time we have the exception thrown to the user or in the console. Its easy foe advanced user to identify the cause of the issue when the exception or the error is thrown. Also the exceptions that occur will be self explanatory but its hard for newbie to spot the root cause. This link will help you to find the errors and also some standard practice to look for exceptions by preparing the application to log the application events using a Logger file. 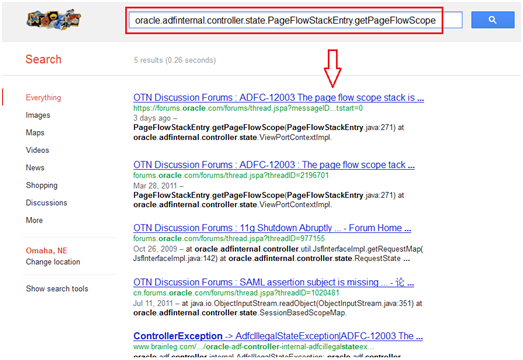 oracle.adf.controller.internal.AdfcIllegalStateException: oracle.adf.controller.ControllerException: ADFC-12003: The page flow scope stack is empty. You will come to this stage if you are not success with the above approach to identify the issue. Are you trying some new Feature? Is this a Connection Problem? Check the connection, and make sure if you are able to connect to the DB properly. Make sure that you have configured the Data Source properly. Is it a common Java Issue? Class path issue – Check if the libraries are there in the class path and if you have added the libraries to the project. If these errors are shown inside the framework then check if you are doing what is expected and you are sure to check how it works. Is this a common JEE Issue? Check security settings in weblogic server. Not sure about the problem? Note: Most of the issues listed above are common issues, you will get all related issues when you search online or in Oracle Forums. I believe that Only 5% of the issues can be considered as never experienced by others. So most of the issues that the user experience will be already discussed in the future. 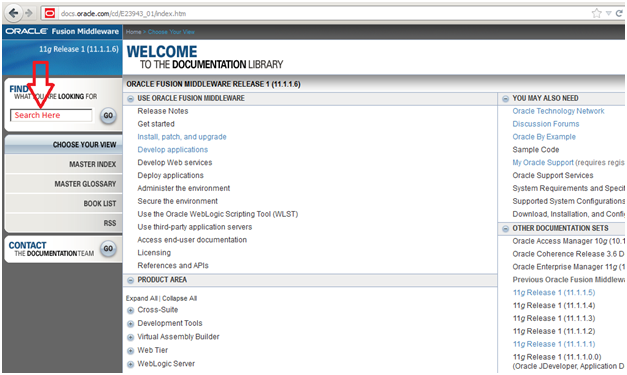 So do search the Oracle forums or Google to get your issues solved. 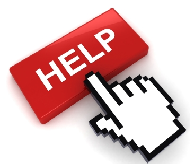 This stage is like you are asking for help from the experts who has some expertise in the area. If someone post for your question then try to validate that. Don’t ignore if someone who is not an expert replied to our post. Its better to try all possible ways. 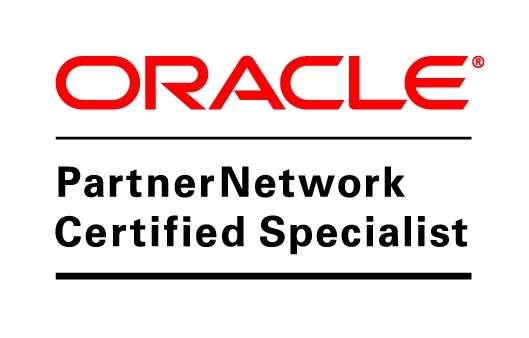 If you have tried all possible options above then you have to wait for Oracle to help you. This entry was posted in ADF, adf components, ADF Faces, ADF UI, troubleshooting, weblogic and tagged ADF, configurations, forums, issues, jdev, otn, server, sr, support, trouble, troubleshoot, whitepaper on March 24, 2012 by vtkrishn.